A few years ago I was introduced to the delicious Tim Tam biscuit, which is a hugely popular treat in the Land Down Under. An Australian friend of my sister brings them when she visits the U.S. and my niece, a Chicago-area transplant to the Sunshine Coast in Queensland has shared them with us, as well, when she's come home. So, when I heard that they were coming to America just in time for Australia Day (which is celebrated Thursday), I got a little giddy. Not only will Tim Tams be available in the U.S., they will be easy to find and I won't have to run all over the suburbs on a crazy wild goose chase to track down a few packs. Go to itsnotacookie.com and you can search for available locations. In my case, they can be found at 10 stores within 10 miles - all Walmart, Target and Meijer locations. For those of you who have not tried Tim Tams, they are a delicious three-layer treat with smooth cream filling between two crunchy biscuits coated in rich chocolate. Four varieties are available, including an exclusive U.S. flavor - Dark Mint - along with Original, Chewy Caramel and Classic Dark. They are amazing and addictive. 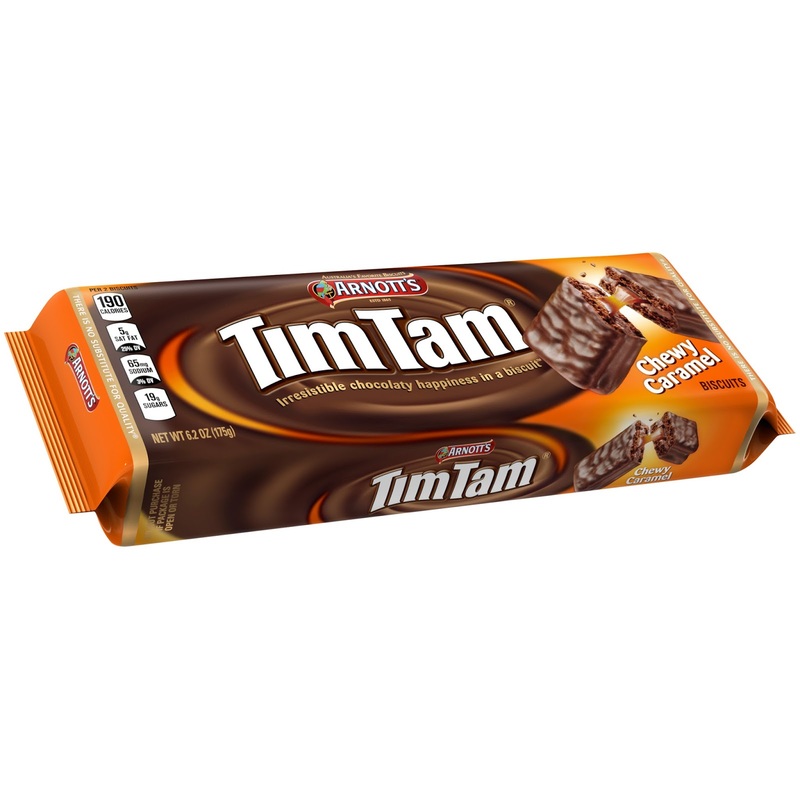 · One in every two Australian households purchase Tim Tam biscuits. Australia’s population is 24.3 million. · The ritual serve, the “Tim Tam Slam,” is how it’s consumed in Australia, which consists of biting off each end of the Tim Tam and using it as a straw in your coffee, hot chocolate, or tea.